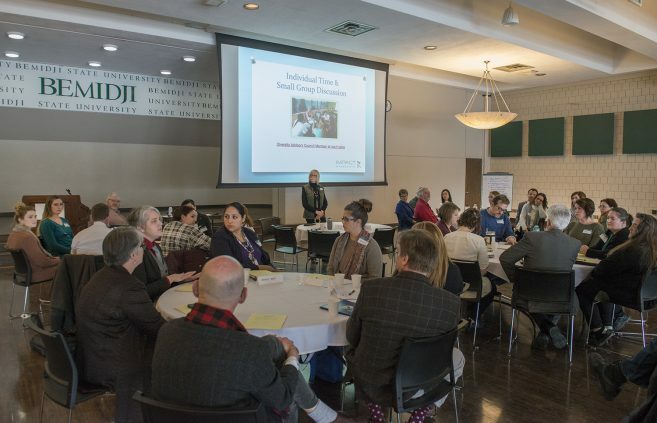 Attendees listening to speaker at the Diversity and Inclusion visioning session. 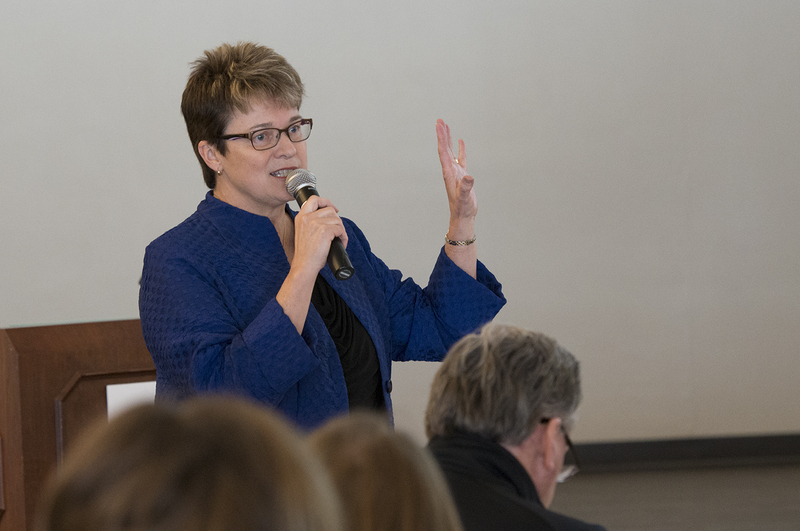 Speaker presenting at the Diversity and Inclusion vision session. 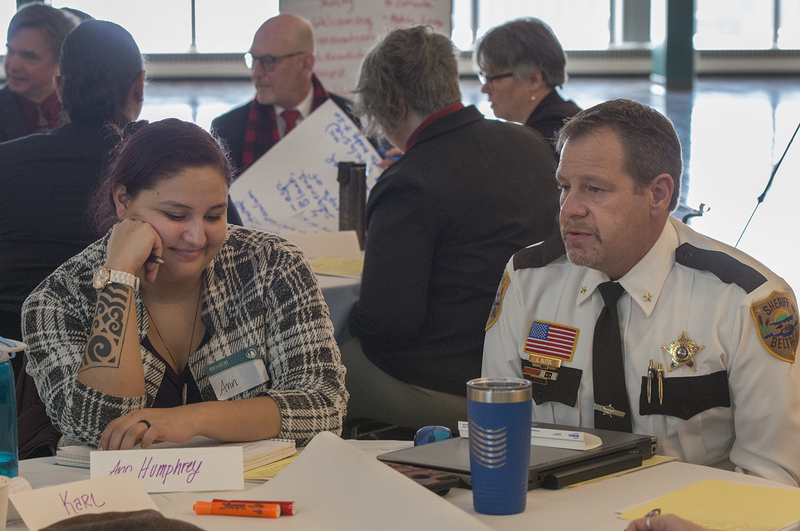 Discussion at the Diversity and Inclusion vision session. 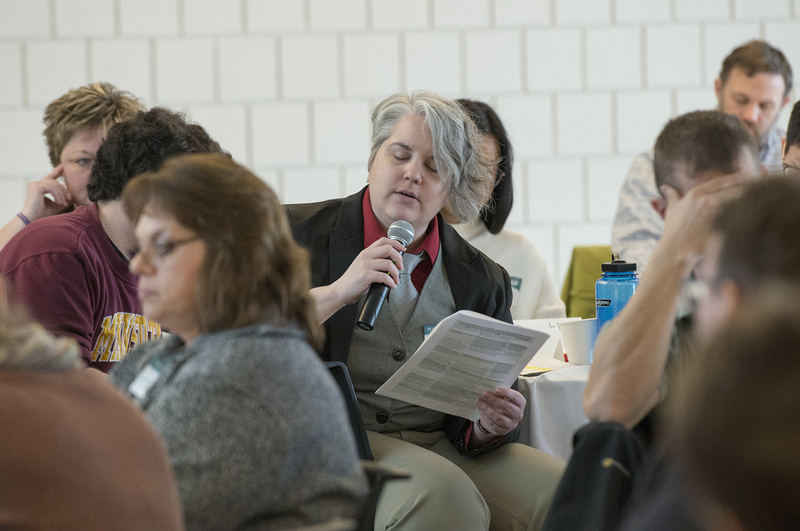 Attendee of the Diversity and Inclusion vision session. 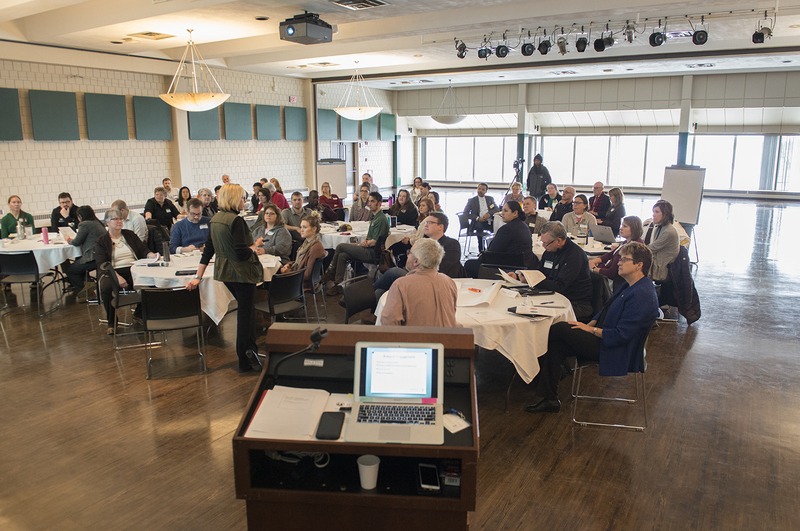 Attendees of the Diversity and Inclusion vision session. 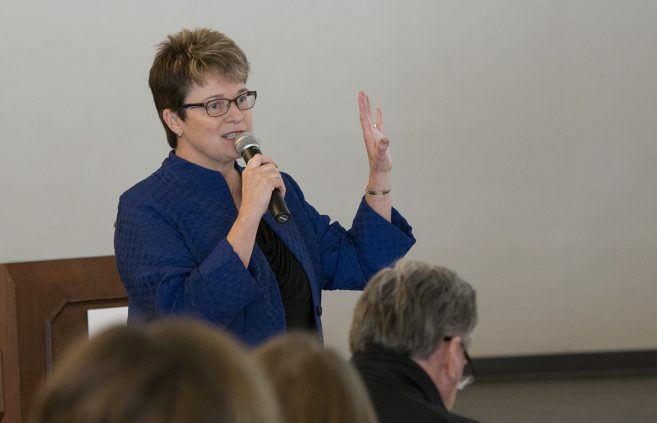 Speaker at the Diversity and Inclusion vision session. 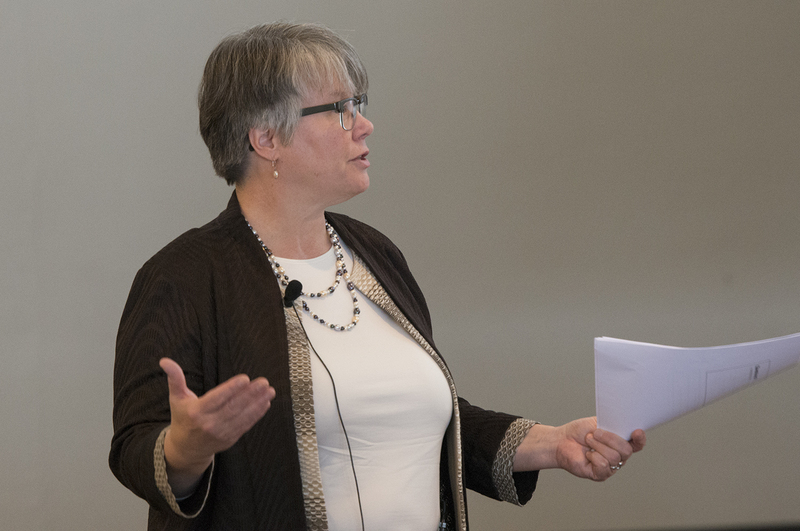 Dr. Kathryne Klement speaking at the Diversity and Inclusion vision session. Attendees listening to the Diversity and Inclusion vision session. Presenter at Diversity and Inclusion vision session. 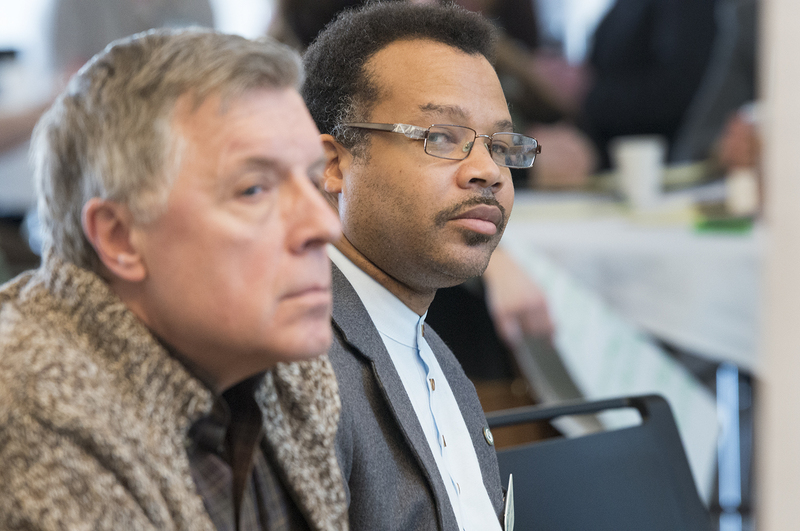 Audience members listening to Diversity Visioning panel. 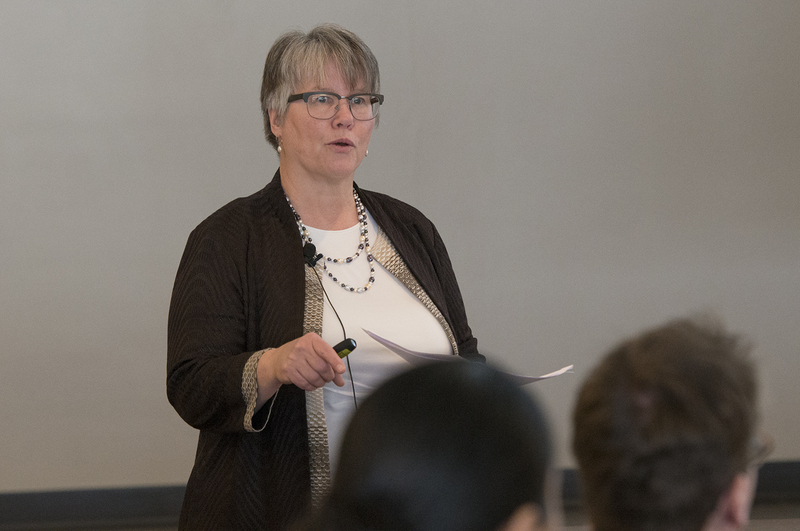 Dr. Debra Peterson speaking at the Diversity and Inclusion vision session. 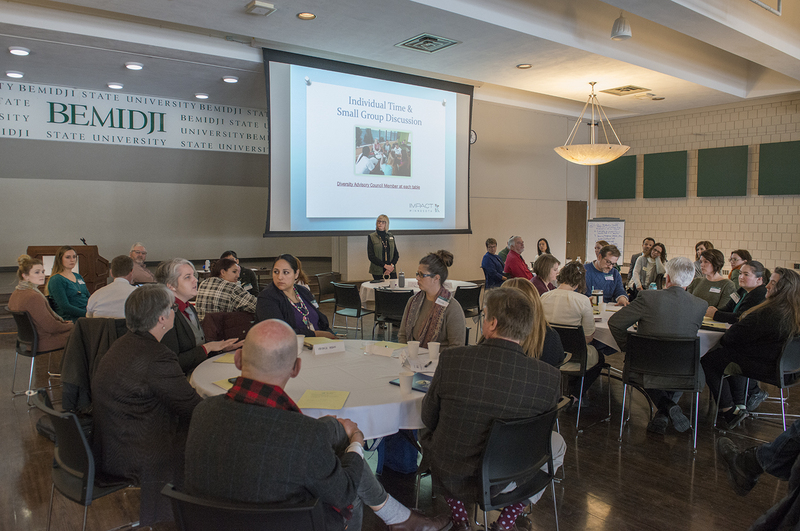 Erika Bailey-Johnson speaking at the Diversity Visioning session. 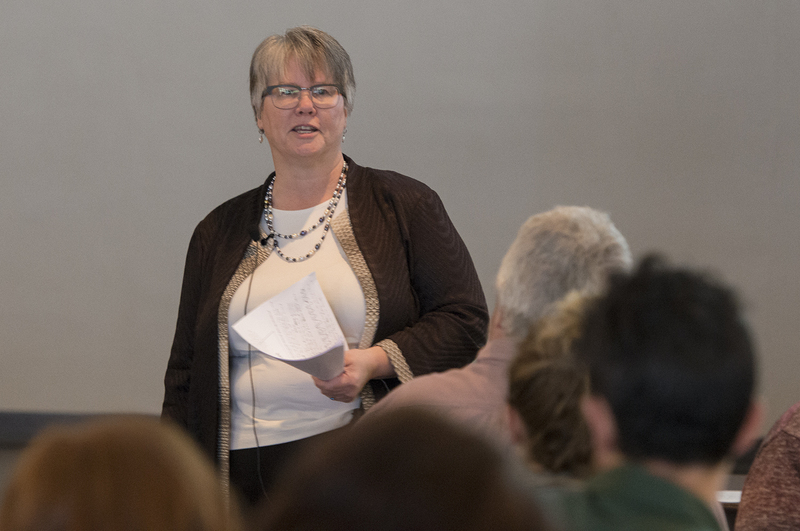 President Faith Hensrud speaking at the Diversity and Inclusion vision session. 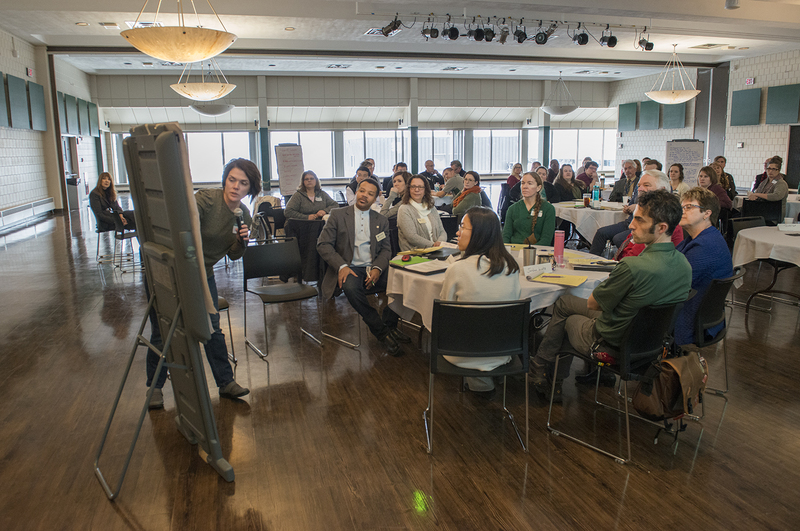 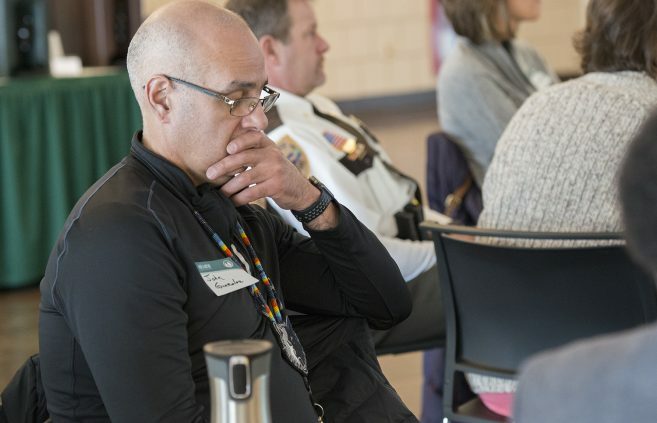 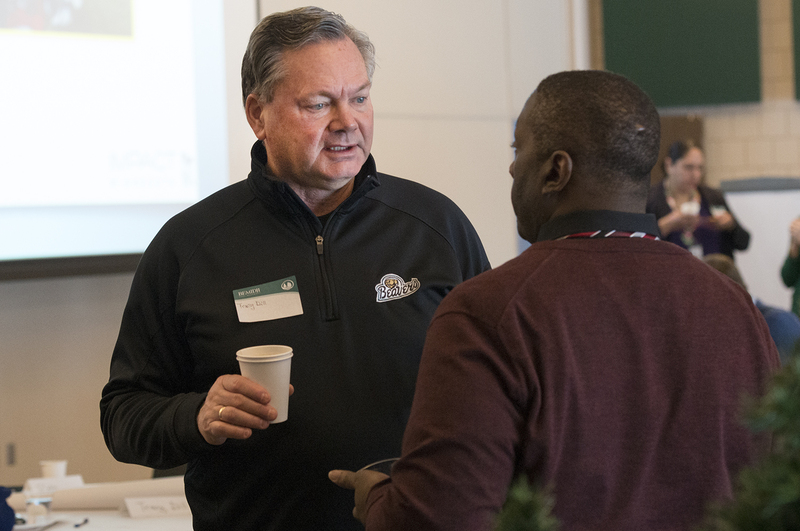 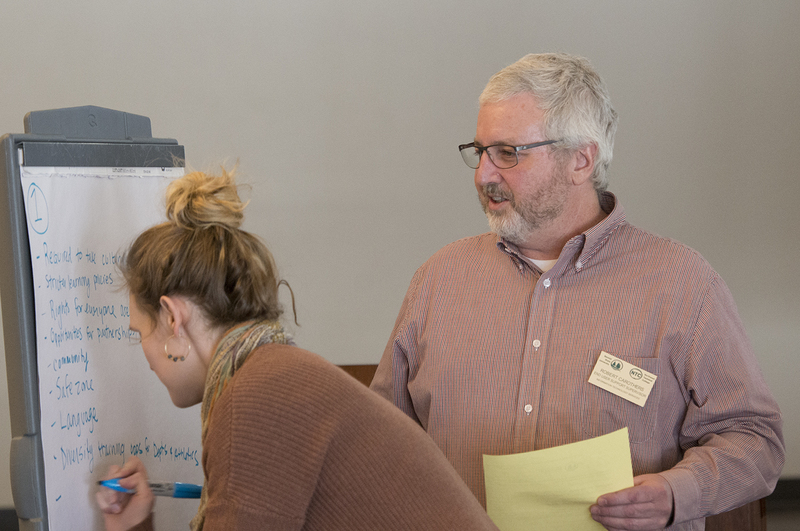 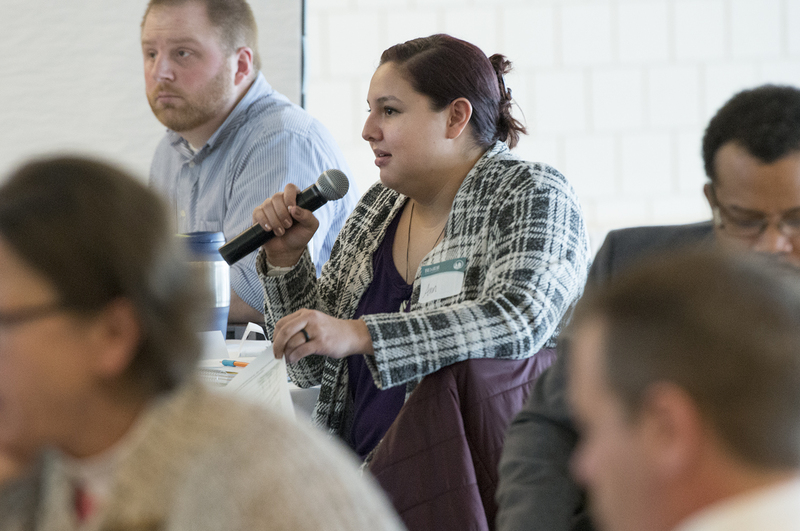 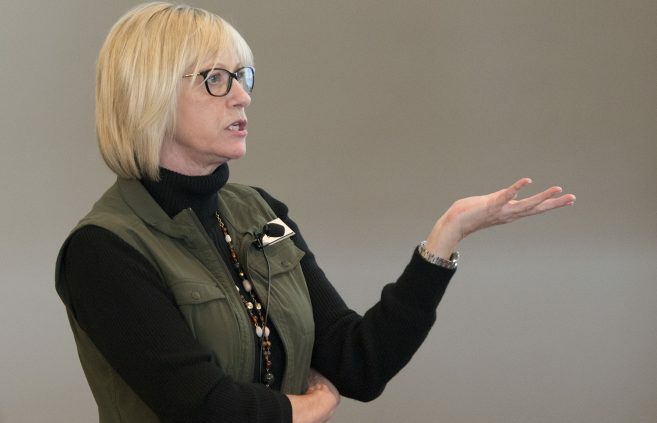 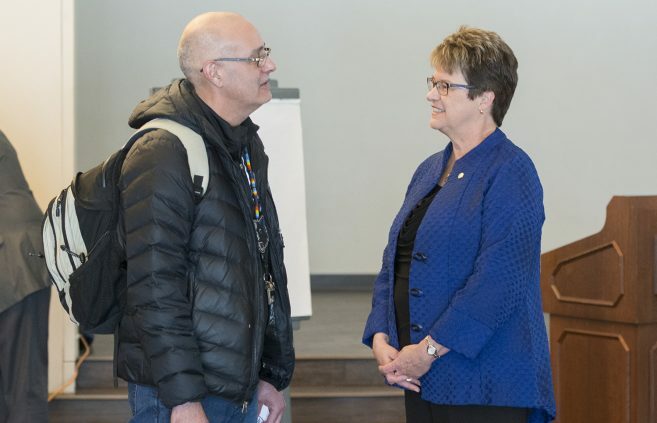 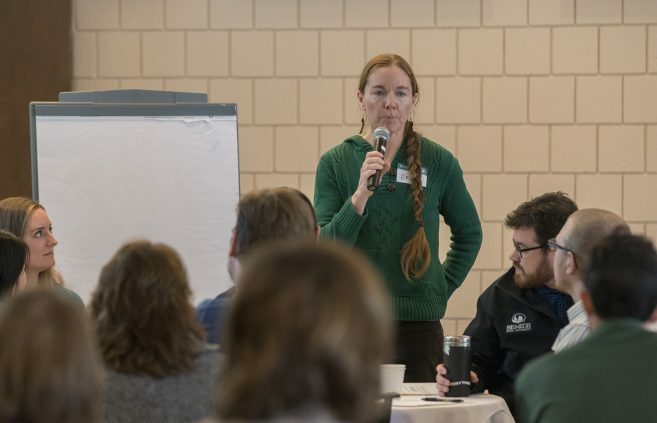 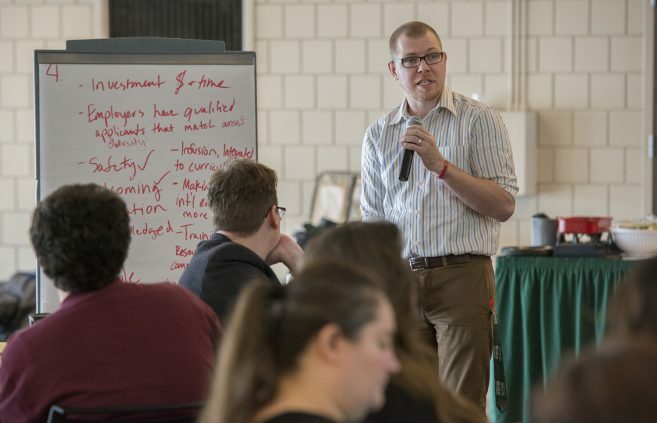 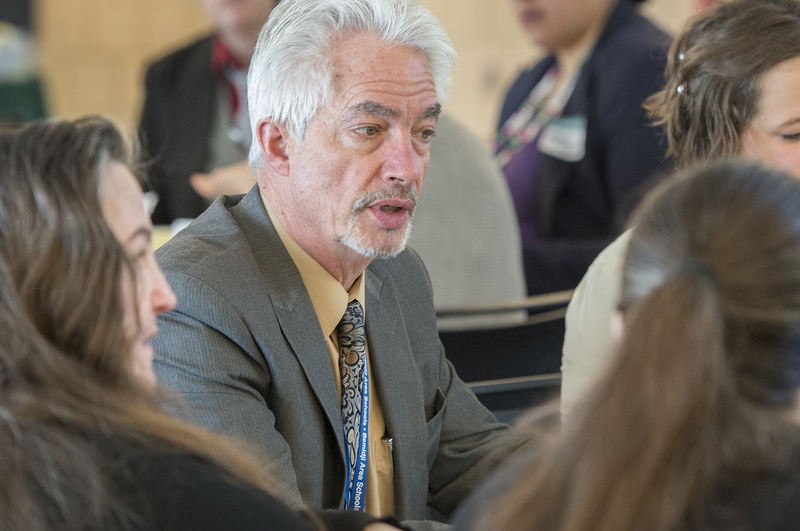 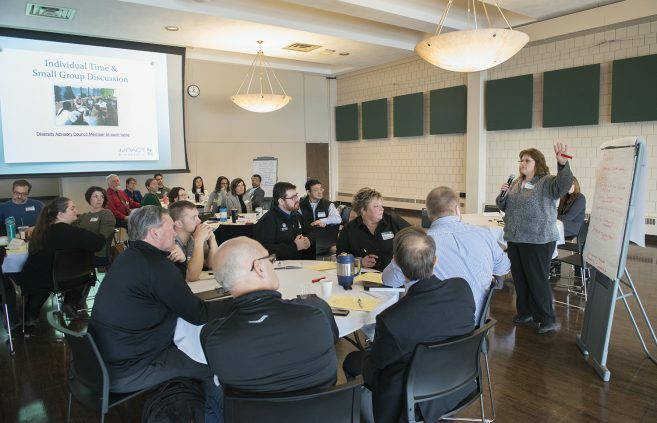 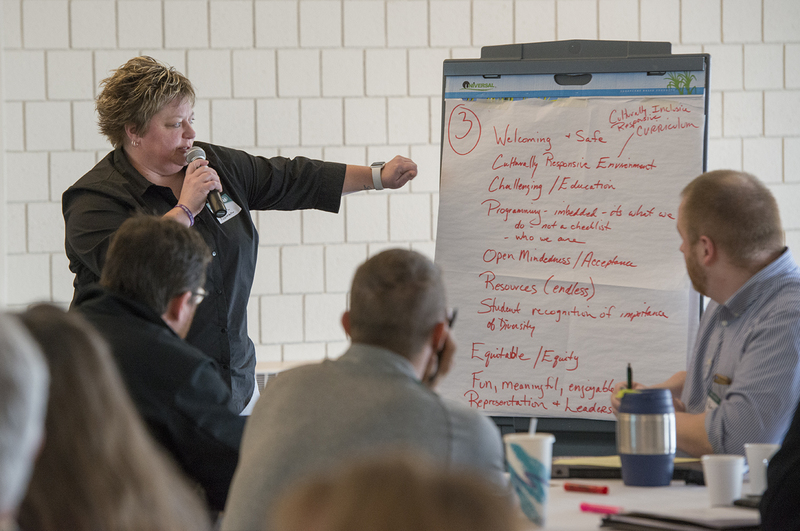 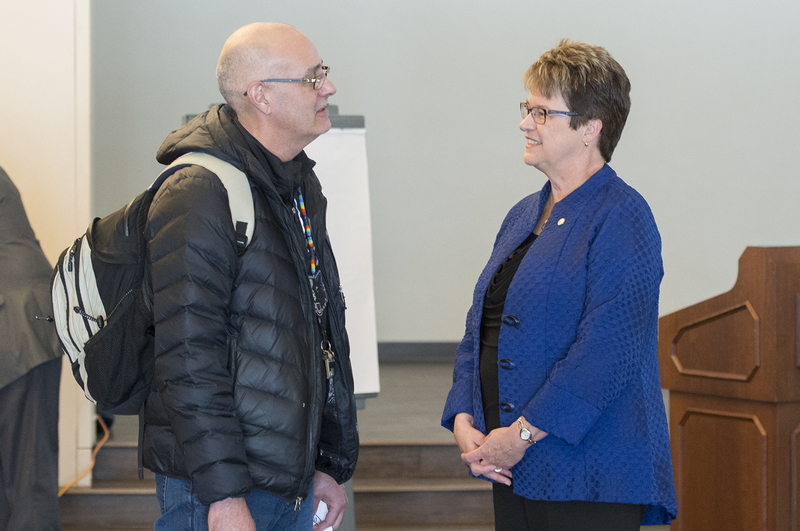 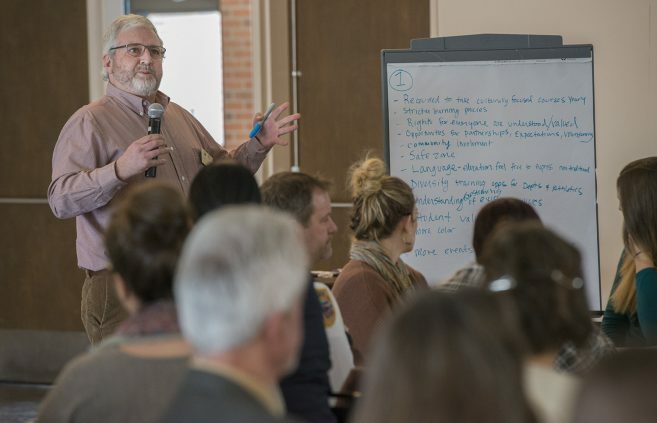 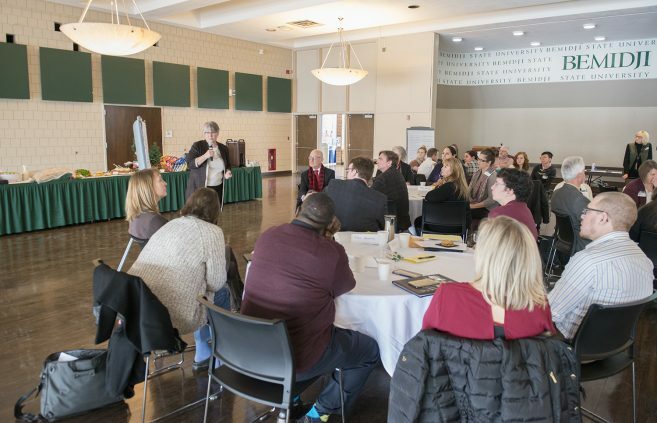 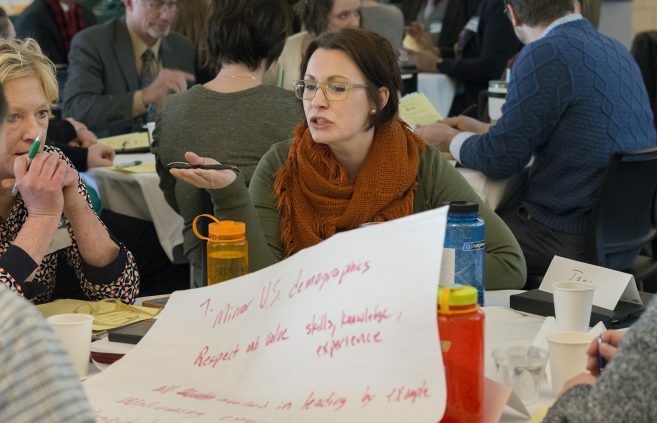 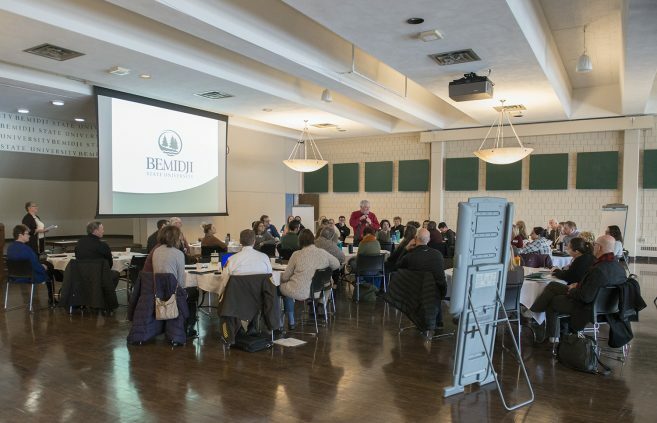 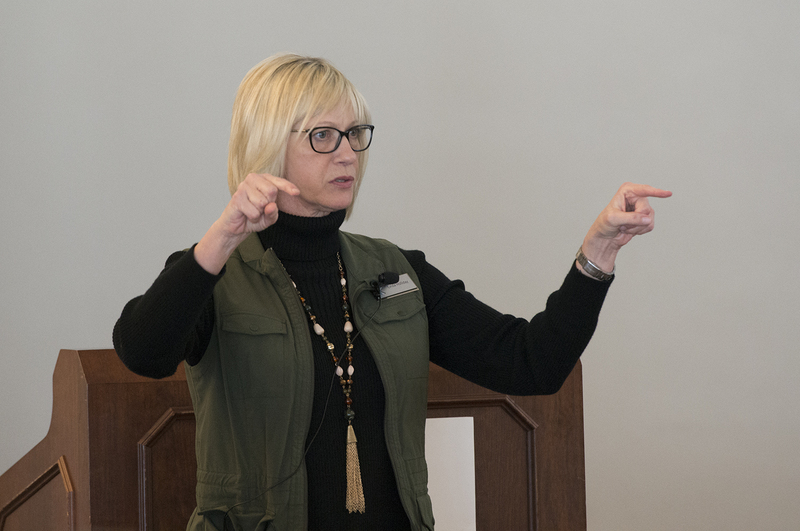 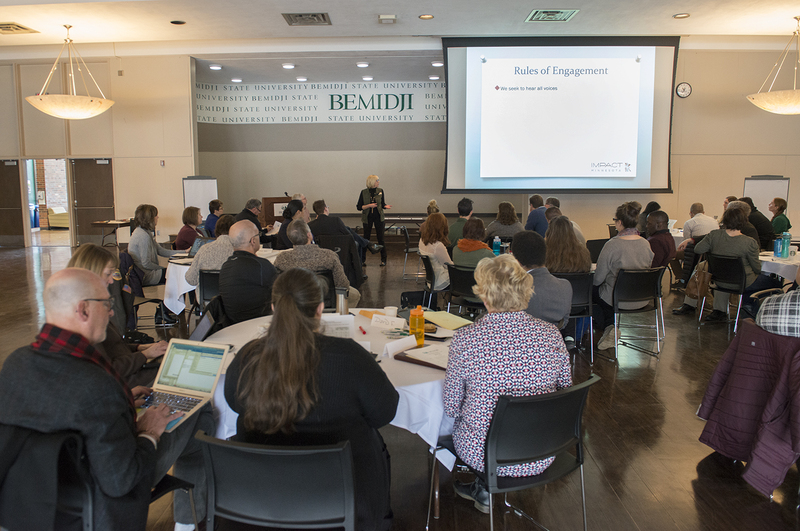 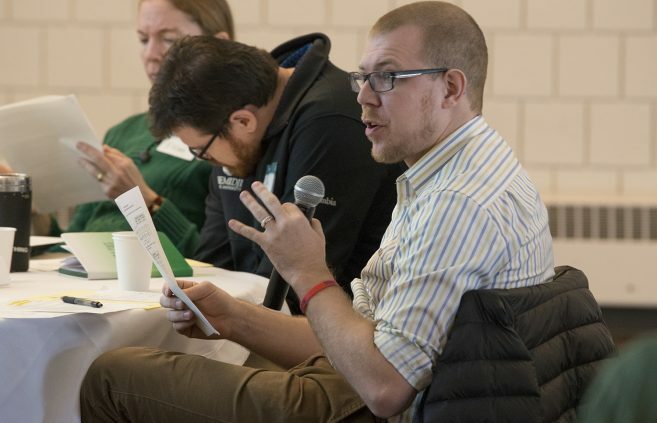 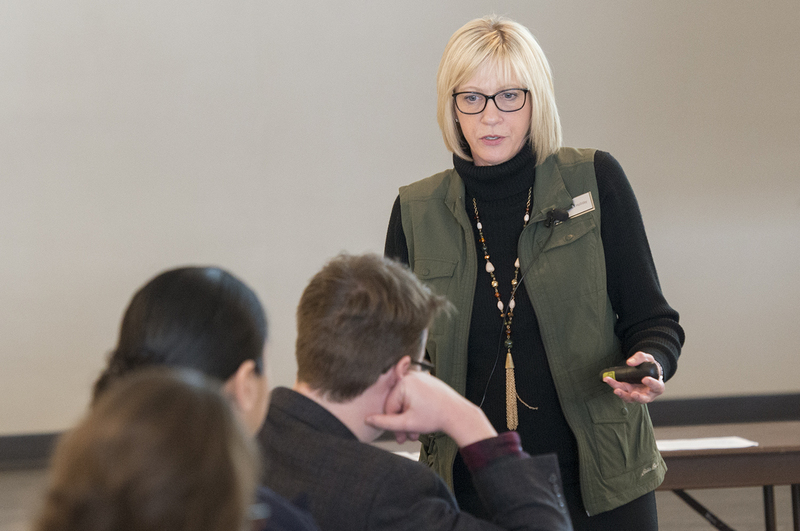 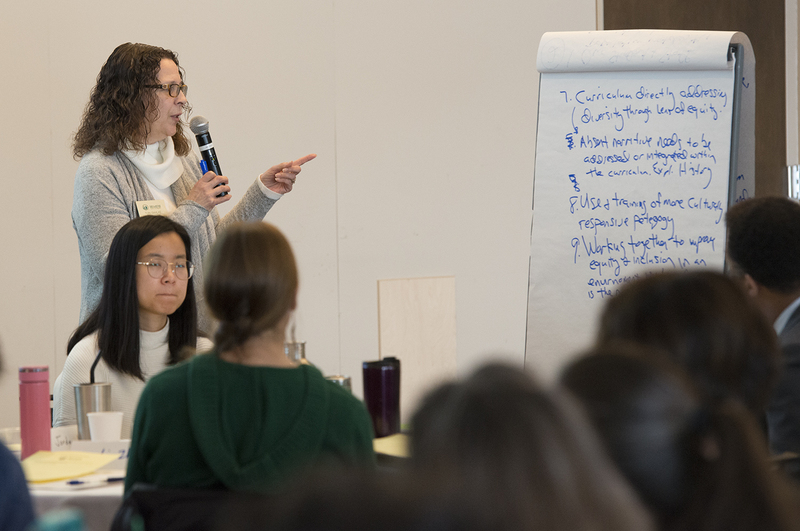 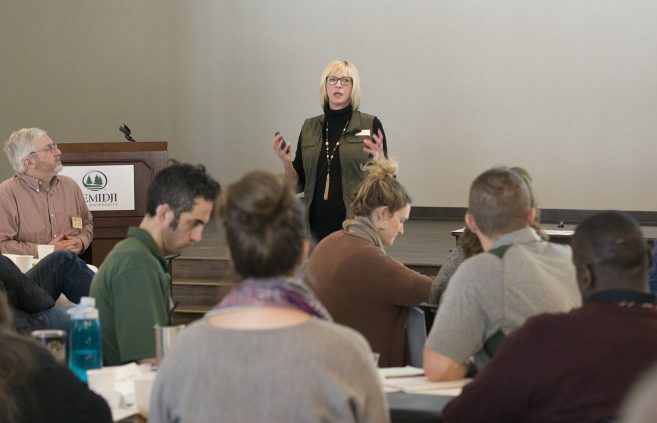 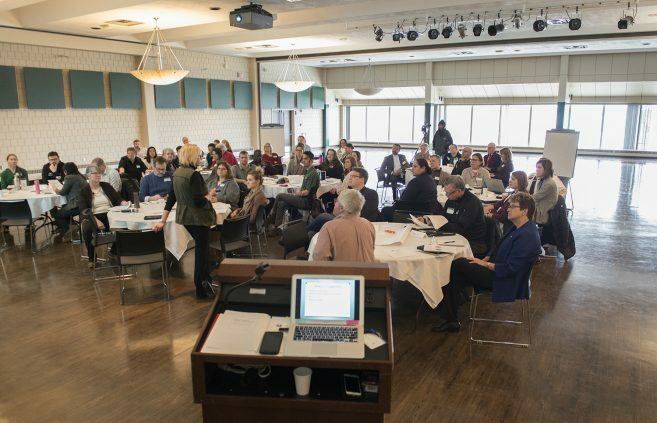 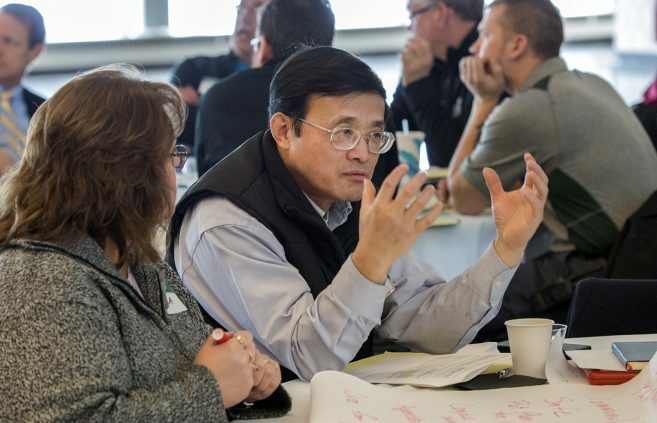 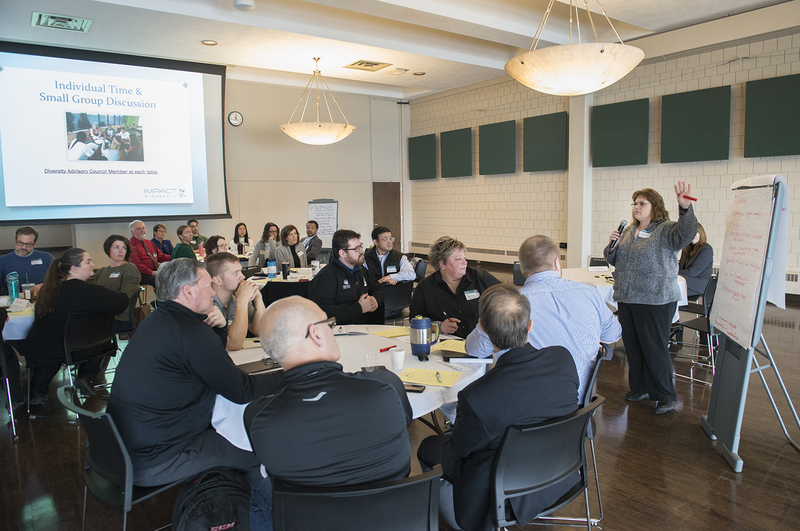 Bemidji State University’s Diversity and Inclusion Committee held a diversity visioning session on Feb. 5 to prepare for the development of the BSU’s 2019-2024 strategic plan for diversity, equity and inclusion. 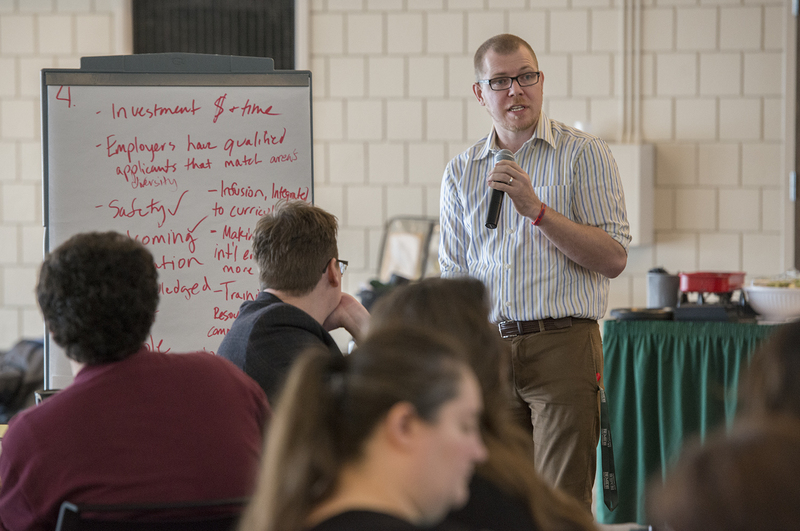 Prior to the session, the committee gathered information through a survey from students, faculty, staff and the community to understand the overall thoughts and impressions of diversity and inclusion on campus. Results from this survey were shared and discussed at the visioning session. 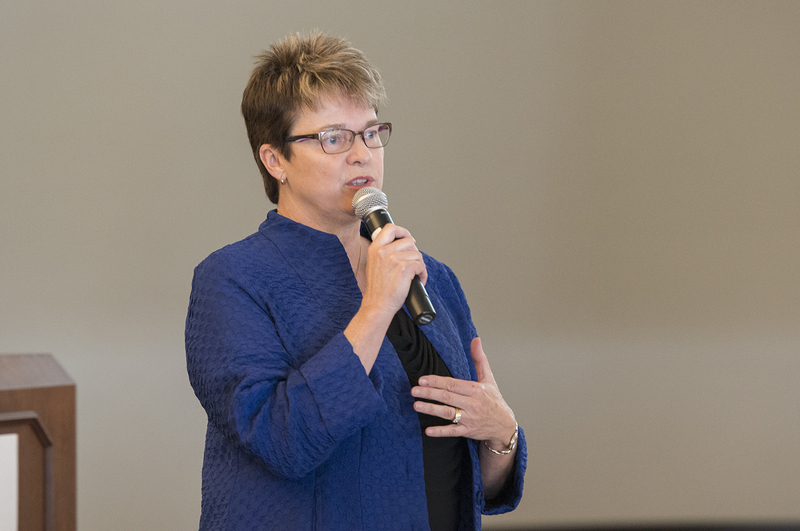 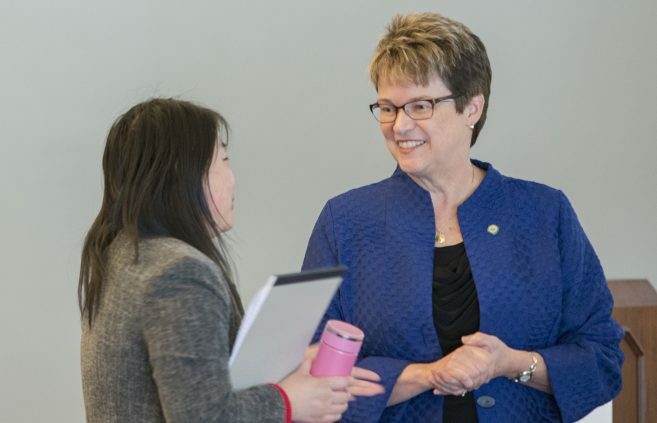 During the session, President Hensrud applauded the current diversity initiatives on campus including the creation of the Center for Diversity, Equity and Inclusion for students, employee resource groups and a campus strategic plan that places an emphasis on diversity and recruiting students of color. 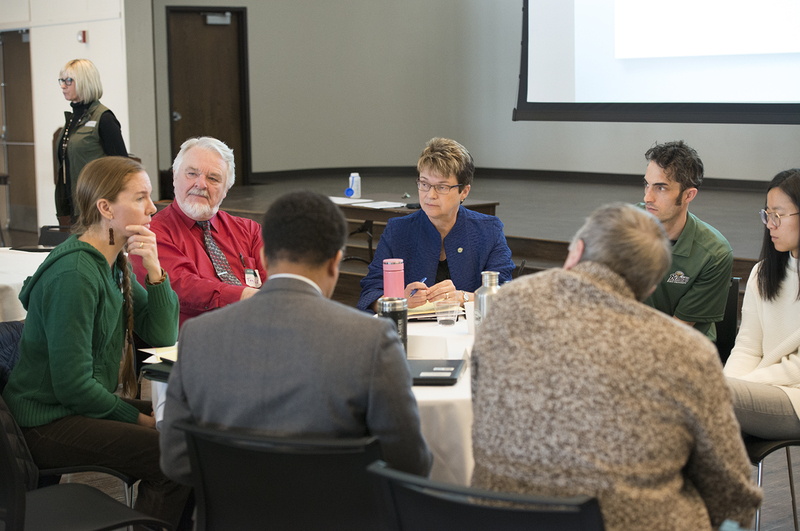 The session also served as a time to create a vision and identify priority areas for the future diversity and inclusion at BSU. 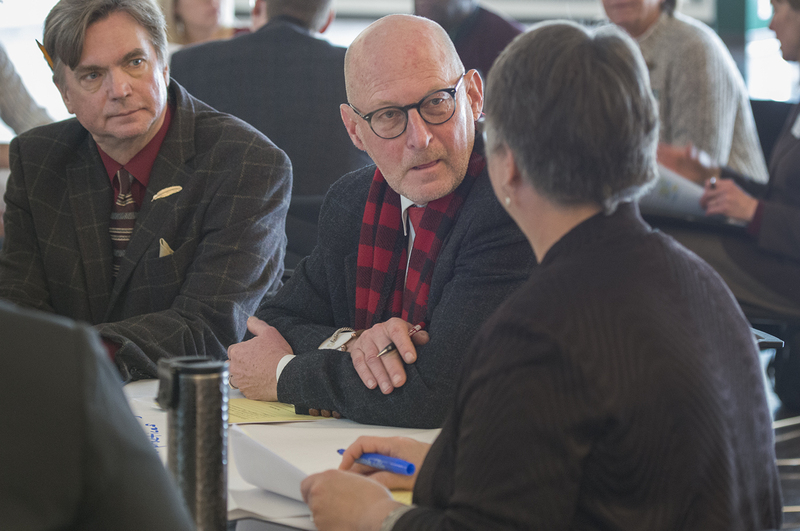 The committee will review the findings from the session and propose a final plan for diversity by May 2019.